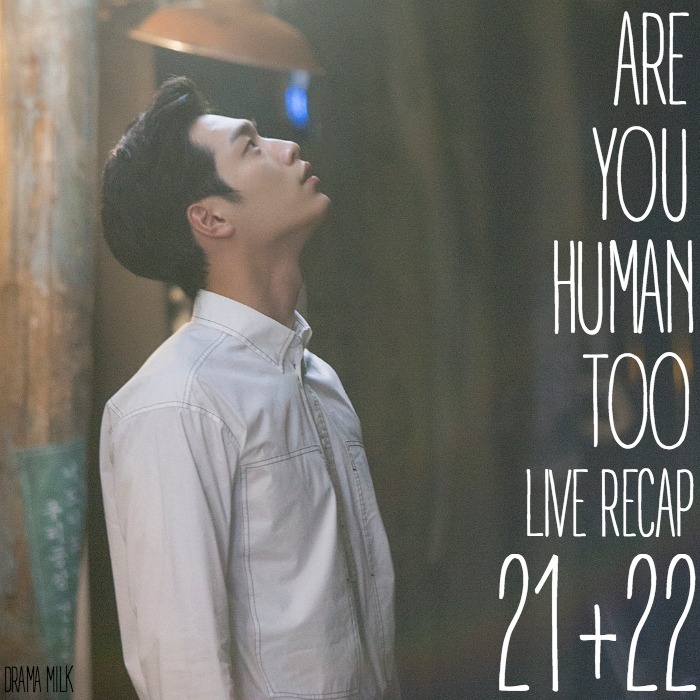 We are live recapping Are You Human Too as it airs from here until the finale! This is touted as a 36 episode drama, which would be an 18 episode drama in normal one hour episodes. So after this week, we still have 3 more weeks left. Unless the 36 episodes should really be 32 episodes? Does anyone know? Our criteria for dropping shows is at the bottom of this post. Check it out if you haven’t had a chance! VO – I thought it was a dream, me looking at myself. Flashback to Shin’s accident and his hospital stay. He hears what people aer saying around him in Czech as he is in the bed. He hears them say that the robot will replace him. VO – Hyung I am here. VO – this guy replaces me? Nonsense. He will pretend like he is me, but people will figure it out. As soon as I wake up. Everything is done. Present, YH goes intot he room and looks at Shin laying in the hospital bed. He is about to leave, but then he notices something. he sees Shin’s fingers moving. His eyes grow wide. Outside, SB talks to Rora about the kill switch and wants her to remove it if she is a real mother. Rora gets a call, her sons finger moved! Your son! He is moving! Oh Rora runs off. Later on, SB asks NS3 what he is watching. He says he is watching people, he is trying to understand them more. SB wonders why he is not sick and tired of humans now. But he says he wants to know more about her. When he knows others facial expressions more then he can read her’s better. He wants to know what she is thinking now. She says she can’t like to him anyway, she thought for a moment that he was not a robot. he says he is a robot, what should I be if I am not a robot? She tells him it was just a moment. Let’s go. Then she walks away. In the home hospital room, Oh Rora sees the video of Shin moving his finger. The doctor says that he moved his finger so perhaps he will be back soon and live like normal again. Umma thinks it is not a dream, thank you for waking up Shin, thank you! They all go sit outside, Umma cannot believe it, she wants to go back. David tells her to just sit and the doctor tells her to calm down please. Rora says that SB should not know about this, she told me to remove the kill switch, if she knows about it then she will ask me to remove it and talk to NS3 about it. David thinks he has the right to know about it. Umma mention sthe real Shin which makes David upset, Real Shin? really? YH tells them that Shin’s revocery is important and we still need NS3 and SB until he wakes up fully. David is against it but Umma tells him not to tell them about it. Elsewhere, NS3 drops SB off at her house. She says goodbye but NS3 thinks he should see her father since they are friends now. He slept on his lap. But she says he should not see her father. goodbye. She goes inside, but the father and the mma guys walk up behind Shin and wonder why she did not want him to see them. They go to a coffee house and drink orange juice. Appa asks Shin if it is true that he broke the marraige. NS3 says yes he did, he left. They wonder how he can just say it like that. Is SB wearing body guard clothing? Is she your body guard again? NS3 says she is, she is very reliable and will be his body guard again. The father and MMA guys are all like, huh, are you friends? NS3 tells them that she is his very special friend. The team are all confused. Do you see my daughter as a real woman? NS3 says that of course she is a real woman, she is human. But then he says he has to leave now. SB talks on the phone with NS3, he tells her that he told her father that she is working as a bodyguard again, so don’t worry. She has to get off the phone because JO is there. JO goes inside and tells her that Shin does not need a body guard, he can save the world himself. Then seh shows her the time NS3 broke the car with his hands. She can’t figure this out. Is he a real human? Who is he? SB tries to erase the video but JO says this is not going to work, I already backed it up. If you dont’ tell me then I will upload it onto the internet. So tell me. SB sits as she thinks about telling her or not. Meanwhile, YH sits at human Shins bedside. Later on, he thinks about everything while in the living room. NS3 comes in smiling and talks to him. He wonders if YH is thinking about human NS. He understands the relationship between him and human NS, after he became friends with SB, he starts to understand everything. SB is his friend and wants to protect him, you also want to protect human Shin since you are his friend. But don’t you want to be friends with me too since I look like him? YH laughs, NS also says this is his joke. He thanks him and says that he experienced human world thanks to him. He is happy about that and one day he hopes he can be his friend too since he is a good perosn to be friends with. But YH does not answer. This makes NS3 think that YH might now want to be his friend, he tells him that human Shin calls him hyung, just think about it slowly. NS3 walks out. Elsewhere, JG tries to tell YN that she is done with Shin, the marriage is over. He does not know what he is going to do to Shin if she continues like this. She looks at him and says that he already did it. She heard everything, you tried to murder Oppa. I love him! How can you do this to him! He yells back that he wanted to survive! He did all the dirty things that the chairman wanted, he gave me all the dirty jobs and his son all the good jobs. I know all their weaknesses, never trust the chairman! If i dont have the chairman position, then I am always dead. Do you know something about Shin? Is he not normal? Tell me and we will survive! YN hits his hands away and tells him that he did everything, he started everything, he did not need to do all those dirty things. As a human, you shuold be sorry and shameful about it! everything you do it dirty! She storms out. YN gets in her car and drives off. JG watches her go with his very calm facial expression. He calls someone and tells them that YN knows something about Shin, follow her. At the lab, Oh Rora looks at the kill switch. David wonders if it is that important, do you want to remove it that quickly? If your son wakes up then i will take NS3 and live somewhere far away in Czech. He will not dissapear. You lived with him a lot longer than your own son, more than 20 years! They hear a scream, YN is in the other room and sees that Shin’s finger moved. She says it moved! His finger moved! Was it a mistake? They tell her that he will wake up soon. She kneels next to Shin and tells him to never forgive her appa and if he tells her to die then she will die. David thinks she knows something that she should not know. JO and SB are laying in their seperate beds. JO tells her that she won’t tell anyone, stop looking at me. Even if I tell someone, no one will believe me. SB thanks her and says that this is something that could change her life if she reported it. JO sits up and says it is interesting as a reporter, but it is different for you, you were supposed to be in the job to figure things out about NS, but if he figured out what is going on, then he will kill you. You should ahve run away, why are you risking your life with that robot? He is not just a robot, he is better than me as a human. He knows how to hug people when they are sad and listen to people and rescue people, he is warm and smiles. JO thinks this is real trouble, you speak as if you are a woman that fell in love with a man. She gets a text from the little robot that says, Friend I am here to pick you up. She hops up and leaves right away. SB gets in the car. SB3 holds her hands right away, she tells him that he should not hold her hands without any warning. She thinks back to what JO told her. SB3 tells her, if you worry about something then tell me. She says, we are just friends, just friends. But then his lie detector goes off. He wonders, what is that, are we not friends? She pulls her hands away and says he had an error, that’s not it. They start driving off, NS3 tells her that he asked YH to be his friend but he did not say he would yet. They start talking about YH a little bit, but then NS3 open and shuts his hand, she wonders what is wrong with his hand. He says he has a problem with a sensor since he broke that car. She wonders what he will do with it. He says it is nothing serious, he will ask his mother about it. They get to the company and greet his mother. She tries to smile and tells him to come inside. He does. SB looks at them and wonders why she is not angry today. In the meeting, the team talks about the AI car. Halabogi comes in and everyone stands up to greet him and YH, but then they all sit. NS3 tells CJ to continue. he continues talking about the driver health app. If something happens to the driver then this will take the driver to the nearest hospital. Everyone likes this idea, especially the grandfather becaues old people like him will buy it. The meeting ends. Halabogi thanks YH and tells him that he worked hard because Shin behaves like a man now. But don’t make him arrogant. Halabogi leaves. NS3 thanks YH and calls him hyung. But YH tells him not to call him hyung. SB tells YH that he looks like a sinner even though the chairman is happy. YH tells him that he wants to talk to SB. NS3 leaves and lets them talk. YH tells SB that they are busy so she should take care of NS3 from now on. he leaves without elaborating. Shin is in his office and stands when his mother comes in. They talk about Shin and how he will try hard to help him when he wakes up. Umma tells him to do what he thinks is best. NS3 wants to know if she can check his hand sensor, but she tells him NO, I have a problem in the lab, don’t come until I fix it. Bye-bye. She leaves and passes by SB. SB wonders what is going on. NS3 says that his mom has a problem in the lab ad won’t be able to fix it until she comes out. SB says she will figure this out. She called David and tells him that NS3 has a problem with his hand, so when will the lab be fixed. David is all like, there is no problem with the lab. SB asks him what is going on, YH is strange and doctor Oh is strange. Why are you keeping us from going there? Soon, SB goes outside and talks to Umma about hiding that the real Nam Shin is waking up. Why did you hide this? Are you worried that NS3 will run away? He won’t run away because of you. You talk to him like he is human. You made him like that. Umma tells her to be quiet about the kill switch, it is not something that he should know about. SB says she will not tell him even if she wanted her to, that is too cruel. She will tell him that the real Namshin is waking up. SB threatens Umma and asks her if she should tell NS3 about the kill switch. Umma picks up the phone and tells NS3 that she has something to tell him, yesterday, something happened, you will be happy to hear it. SB leaves and goes to the stairwell. She gets a call from NS3. He asks her where she is, she says she is in the restroom, she will be there soon. But then NS3 goes into the stairwell and asks her why she is lying to him. He tells her that human Shin is waking up, he has responses and his finger moved. But why do you look like that? She tries to play it off. But he tells her that she is lying to him. Why are you doing that? He grabs her hand but seh pulls it away. She wants to know why he is in her heart (?). She tells him that she wants to be alone when she wants to be alone and when she wants to hide then let her hide! That is also showing that he care about someone. Umma and David get into an argument about NS3. He tells her, if you want to throw him away, then throw him away to me! He leaves in a huff, then he calls the chairman and tells him that he should know something. The chairman listens and tells him that he understands, he is his blood, before he died, he miraculously woke up. But the kill switch should never run. the effort we have for many years should not be wasted, be careful otherwise you are of no use to me as well. JG comes in at that moment and puts something on the table. he says he finished the deal for teh quantum chip. He did as NS suggested. He also heard that they are changing things to the Medical car, it is a good idea, I did not expect him to do that much. But later on, he tries to find his daughter but no one has found her yet, so he throws his phone onto the floor in a rage. SB gets home and thinks about telling NS3 that he is in her heart and hits her head at her stupidity. But then she notices that the little robot is missing and goes to search for it in the trash. She finds it and wonders why he is doing this, she thought he dissapeared. She cleans the little robot off and thinks of NS3. She says that this robot is nothing. But then NS3 talks to her through it and says that he is sorry, he will not use any of his functions with her, he is sorry that he is a robot. She turns around and NS3 is there smiling at her. She tries to walk past but he asks if it is better if he was a human. She turns around. He says that she told him that once. He does not know what to do when Human Shun wakes up. He needs to be useful as a robot, but he will not be useful anymore. She says that he is useful to her. He thanks her and tells her that he is why he cares about her. He also wants to know more about her. She tells him that he is just himself, she is not asking him for anything, just stay there. He tells her that he is not going anywhere, he is there. He walks to her and gives her a hug. She wants to know why he is doing this, she is not crying. He tells her that she wants to cry, he knows that, so just cry as much as you want to cry So-bong. So-bong starts crying and tells him that he is a robot but she does not know why her heart hurts so much. She keeps crying and he holds her tighter. Later on, SB is alone holding her knees and looking at the tiny robot. She gets a call from NS3. But she does not pick up. He talks through the little robot and asks her why she is not picking up his phone call, he can search her with GPS, but he won’t do that, just in case she wants to be alone. She is sitting in the middle of the boxing ring and bows her head to her knees. Later on, she practices the punching bag. Appa and JO look at her. JO comments that SB didn’t say anything the entire weekend. Appa tells JO that you should not bother anyone that is working out. Just go inside. JO listens and goes to ehr room. In his room, NS3 looks at his phone and says that she did not call him. He sits up when YH comes in. He tells him that they have to prepare for the presentation. But NS3 is preocuppied. YH asks what is wrong. He says that she cried because of him, what should he do. YH says she just needs some time, she will have him soon. NS3 wants to know how much time that is for humans. 24 hours, 48 hours? YH tells him that you cant measure if with numbers, it is just the time it takes for them to come back again. Elsewhere, David asks Umma about the board meeting. Umma tells her that he should take care of Shin and not worry. She leaves with YN, but David thinks about something and goes to the lab. He opens the safe for the kill switch, but it is gone. he gets up and looks around in nervous anger. Meanwhile, JG is in his office drinking wine. Park wonders why he is drinking so early int he morning? JG says it is because of the presentation today, he will have no answer for it. But then David tells him that his daughter turned on her phone, so they can find her now. At the MMS gym, SB gets ready to go and appa lets her go. JO thinks Appa is crazy, how can you let her go. 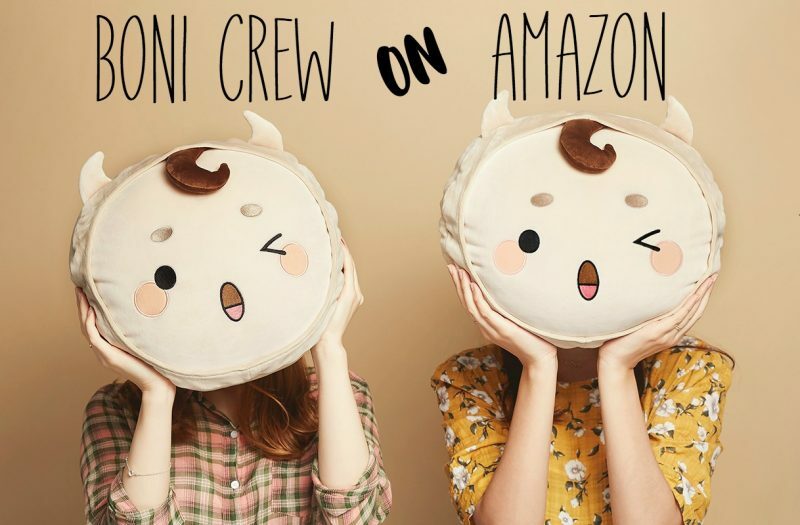 JO thinks it is one-sided love but Appa says he is not that kind of friend. Elsewehre, YN is at human Shin’s bedside when seh gets a call from her appa. She does not take it. So he sends a text and tells her that it is easy to find the address. She goes outside and looks up and down the street. Then she sees Park drive up and get out. Her father gets out as well. JG asks her if she thought appa would not be able to find her? Your car is over there. Which house is it. YN says it is over there, it is Doctor Oh Rora’s home. JG tells her that he saw her coming out of this house over here, what are you lying to me about? If you stop me, then I don’t know what I will do to you. Before I become more cruel, let this hand go. YN tells her that what he is looking for is not inside. it is in the company. He asks what he is looking for is in the company? What is that? At the company, David goes to meet with NS3. He calls him his son and says that it is nice to meet him. NS3 wants to now why he is there today, waht about human Shin? David tells him not to worry about him. NS3 wants to know why David is angry with him. David tells him that he needs to know one thing. Elsewhere in the building, SB runs into Rora. SB begs her to remove the kill switch, she will make sure that it will not affect her son or her. But Rora just tells her not to do this and walks on by. But SB tells her that she will tell everything to the world. A robot replaced a human. Oh Tora says that will only speed up the time that they will press the kill switch, because they will have to make sure that this does not exist. Umma says that NS3 will not exist in this world, there will be no trace. SB can’t believe that Rora is acting like this, she is a selfish human. Umma says that she can’t help it, she cannot be the mother for both of them. The chairman goes inside and comments that he has not seen Shin focus that much in awhile. NS3 is busy looking over the meeting notes. The chairman goes to sit. SB comes in right away and walks up to NS3. She tells him that he should leave with her right now. He is happy to see her but he wants to know why they should leave right now. She tells him that she likes him, she just likes him, for no reason. So don’t be here with them. Lets go! She pulls his hand up, but he does not stand. Then JG comes in looking like he won the lottery. He is smiling so brightly and tells NS that he was almost tricked. Your mother is oh Rora sitting over there? Umma is Umma but did not give you a birth, she made you. YH comes up to him and asks him what he is doing. JG tells him that he cannot hide it anymore. Suddenly, Park brings int he little Shin robot and lays him on the ground. It looks like it is just the shell of him. They take off his face and say that he is a monster. If she made this little Shin, then it is possible to make an adult. Tell me, is this one really a human? He is not a monster robot that just looks like NS is he? Can you still say that you are a human with blood an flesh? SB pulls NS3 to leave, but NS3 just throws her hand away. he looks so upset. He grabs his cup and breaks it on the table, he starts bleeding and asks if this is the first time they have seen someone bleeding. Then he looks at SB ask if he is the real Shin. NS3 – You like me? How dare you. Okay, I think this is still robot Shin who thought ahead and added fake blood or something to his hand. In previous episodes he was been shown to think ahead and save the day, so this shouldn’t be any different, right? So what do you think, robot Shin or human Shin? NS – Did you really think that thing was your real son? SB – Don’t go anywhere, you are not my friend anymore, because I like you more. Previous Post Housekeeping: We Have a Shop! Wowwwww…that twist!!! cant wait to see 🙂 thanks..
That was a really big twist! But do you think it is the human Shin or NS3 pretending to be Shin? I think it is NS3. When SB 1st went up to him in the meeting, He smiled & acted just like NS3. Not until JG came in did he change his personality. NS would have no reason to act like NS3 & would not have known how to act like him anyway because he had never seen NS3 & SB together. @L OMG I need to rewatch that! BTW thanks so much for your subbing! You are an emotional lifesaver for the anxious & obsessed! Just saw the preview without subtitles.. it should be human NamShin I think !! If it has to happy ending else it will be a sad ending .. I feel like if it is human Nam Shin then perhaps he and robot Nam Shin communicated before hand? Then they could have switched spots in the hospital bed perhaps? I think and HOPE that Nam Shin and not NS3. Preview did suggested that he was wake for awhile and he could hear everything even though he was in a coma. I REALLY want NS and SB to be together!!! So interesting Jammmm! I also wonder about human Nam Shin hearing everything when he was in a coma. 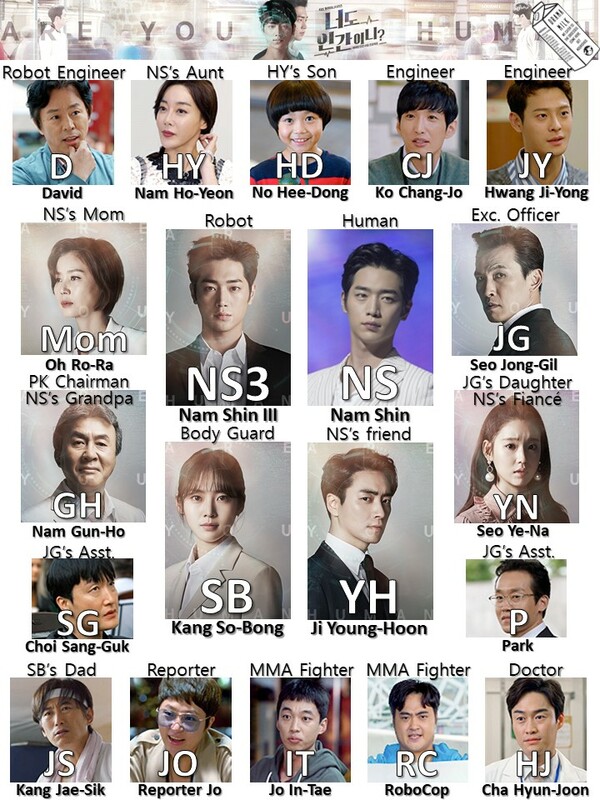 From the preview it looks like human Nam Shin might have kind of a stinky personality toward his mother, so I kind of wonder how that will change the mothers wish to use the kill switch on robot Nam Shin?